Since Election Night 2016, Democrats and their media allies have been fixated on a simple illusion to justify their otherwise indefensible behavior toward an American Commander in Chief. Their illusion was that President Donald J. Trump colluded with Russia to win the 2016 election, and then obstructed justice to prevent anyone from finding out. On Friday, the U.S. Department of Justice announced that Special Counsel Robert Mueller had delivered his final report to Attorney General Bill Barr. Over the weekend, Attorney General Barr presented a summary of that report to Congress. After an exhaustive investigation by the Special Counsel, filled with 2,800 subpoenas, more than 500 witnesses, millions of pages of documents, and $25 million wasted in taxpayer dollars, here is what it found: nothing. No collusion. No obstruction. And a complete exoneration of President Trump and the entire Trump campaign—exactly what the President and the White House have told the American people from the beginning of the Democrats’ fishing expedition. Failure 1 was blatantly irresponsible reporting. 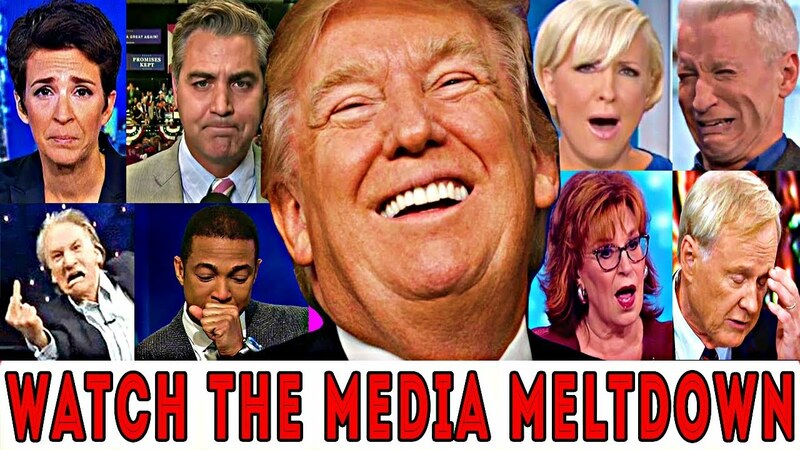 In an effort to validate their own political instincts, the mainstream media abandoned all journalistic standards and repeatedly failed the American people by accepting wild speculation as fact. They smeared calls for due process and common-sense skepticism as political “gaslighting,” rather than defending these basic principles of fairness and impartiality. Real issues that affect Americans from coast to coast were put on the backburner as airways were flooded with false and endless “reporting” of retreaded conspiracy theories. The New York Times, The Washington Post, CNN, and MSNBC wrote a combined 8,507 articles citing Robert Mueller’s investigation since May 2017—an average of nearly 13 articles every single day. The New York Times published 644 more stories mentioning the Mueller investigation than they did mentioning NAFTA renegotiations. The Washington Post wrote 192 more stories mentioning Mueller than they did America’s defeat of the Islamic State. And CNN produced a stunning 908 more stories about the investigation than they did about implementation of the biggest tax reform plan in American history. Keep in mind, the vast majority of that was before Mueller had issued any report. Failure 2 was Democrat recklessness. The left desperately tried to promote collusion conspiracies to rationalize their 2016 loss and sink Donald Trump’s presidency. Numerous House and Senate Democrats called for President Trump’s impeachment long before the conclusion of the Special Counsel investigation. There’s no spinning it: Congressional Democrats, much of the mainstream media, and former Obama Administration officials peddled one of the greatest lies in American political history in a failed attempt to reverse the election of a President they simply don’t like. The real threat to our democracy was hiding in plain sight all along. Posted in Financial, Tyranny and tagged Democrats, Election, Freedom, Liberalism, President Donald J Trump, Russia.